Lasagna delivery? You can call ONE NUMBER now! 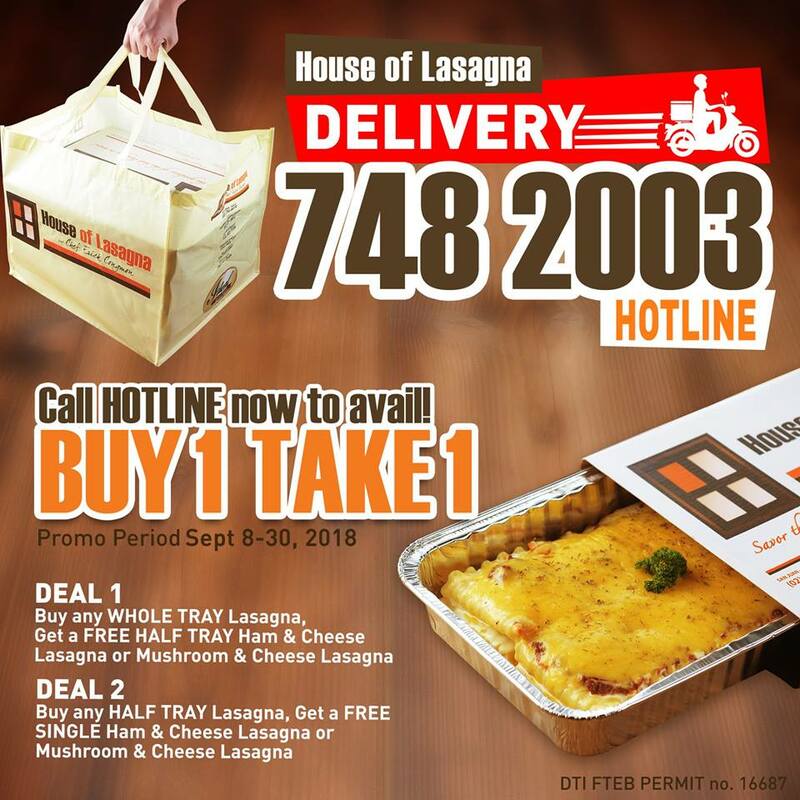 Check out House of Lasagna's Buy1 Take1 Hotline Delivery Promo! Call their HOTLINE Delivery - (02) 7482003 - to avail of Buy 1 Take 1 on House of Lasagna's bestselling Lasagna Trays! Perfect for your special moments/gatherings! Buy 1 Take 1 Promo is for One Number hotline DELIVERY ONLY! Deal 1: Buy any whole tray lasagna and Get a Free HALF Tray of Ham & Cheese or Mushroom and Cheese.